Put together a group of veteran bluegrass artists, have them play the music of Lester Flatt, Earl Scruggs and the Foggy Mountain Boys, and you have a project that really racks up the awards nominations. 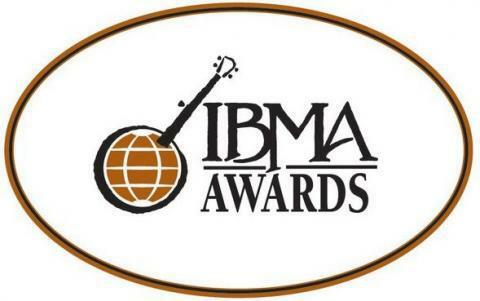 On Wednesday morning, the nominations were announced for the 2017 International Bluegrass Music Awards with The Earls of Leicester tying modern instrumental group Balsam Range for the most nominations at eight. The Earls of Leicester, made up of Jerry Douglas, Shawn Camp, Barry Bales, Charlie Cushman, Jeff White and Johnny Warren are up for Entertainer of the Year, Instrumental Group, Song (The Train That Carried My Girl From Town), Album (Rattle & Roar), Instrumental Performance (Flint Hill Special) and instrumentalist nods for members Douglas (dobro), Camp (male vocalist) and Bales (bass). Outside of The Earls of Leicester, Shawn Kemp is also nominated for Song of the Year for his recording of Mac Wiseman, Thomm Jutz and Peter Cooper's Going Back to Bristol along with Recorded Event of the Year for the same recording with Camp and the songwriters participating. Other veteran artists also fared well. Doyle Lawson & Quicksilver are up for Entertainer and Vocal Group of the Year, Bobby Osborne is in the Album of the Year category for Original and Recorded Event for I've Gotta Get a Message to You. Blue Highway received nods for Vocal Group and Gospel Performance for Hallelujah and Sam Bush was nominated for Instrumental Performance for Greenbriar and Recorded Event for Steamboat Whistle Blues. Along with the Song of the Year nomination, Mac Wiseman is nominated against himself in the Recorded Event category for Going Back to Bristol with a long list of artists and 'Tis Sweet to Be Remembered with Alison Krauss. Ian Tyson also has a surprise nomination for his song Someday Soon as recorded by Darin & Brooke Aldridge. Tyson wrote the song 53 years ago and it was a minor hit for Judy Collins in 1969. Numerous veterans are also nominated in the instrumentalist categories. Hazel Dickens and Alice Gerrard who recorded a series of albums from 1965 to 1975 pioneering female artists in the bluegrass field. Dickens was the wife of Pete Seeger. Bobby Hicks who Bill Monroe called "the truest fiddler he had ever heard". He was a member of Monroe's Bluegrass Boys along with Porter Wagoner, Judy Lynn and Ricky Skaggs. Roland White who is a master of the mandolin and a member of the Blue Grass Boys, the Kentucky Colonels, Nashville Grass, Country Gazette and the Nashville Bluegrass Band. The awards, hosted by Bela Fleck and Abigail Washburn, will be held on September 28 in Raleigh, NC.